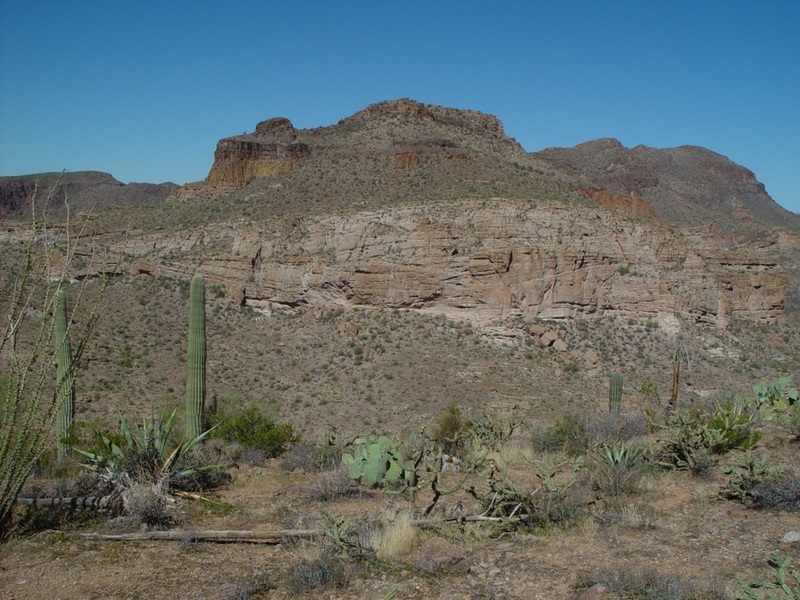 This is an off-trail hike up the mesa and further if you please. Trail data listed is just to the top of the mesa. You will likely want to explore more so plan on at least 3 to 6 hours for a fun day. 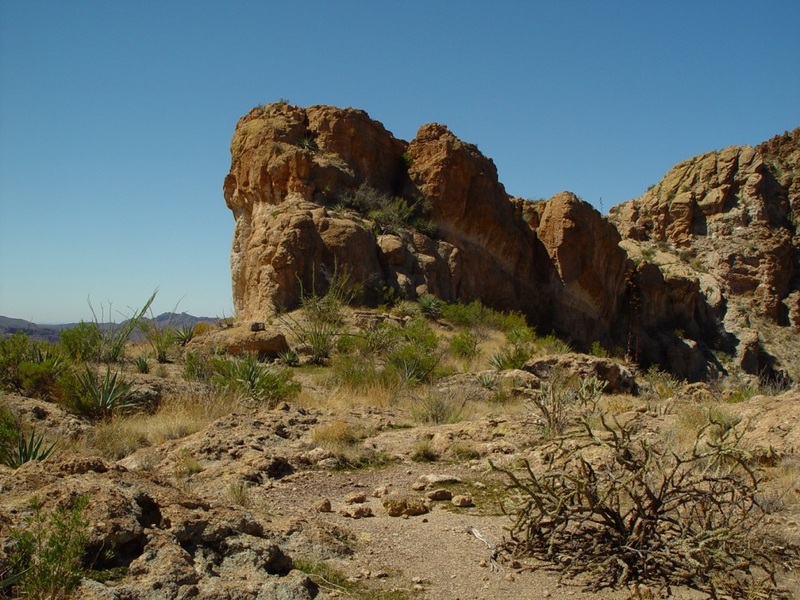 For clarification this is the Black Cross Butte next to the Salt River. 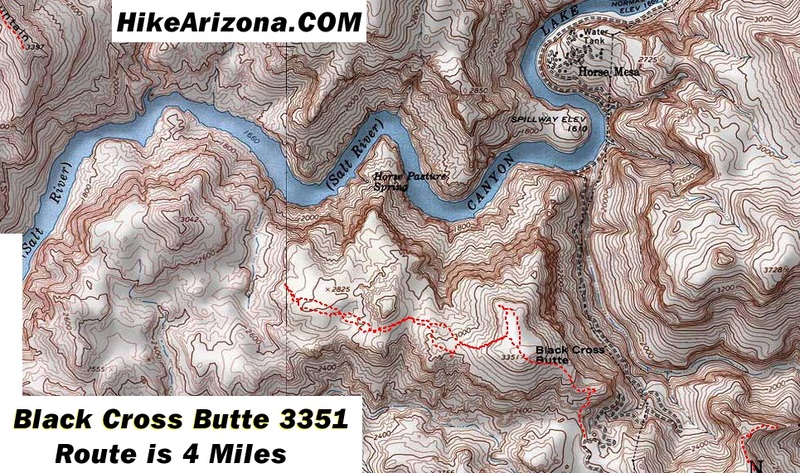 There is another butte with the same name next to Fish Creek & SR88. First check out the map. The hike starts off where ever you can find a spot to park near the FR80 gate. 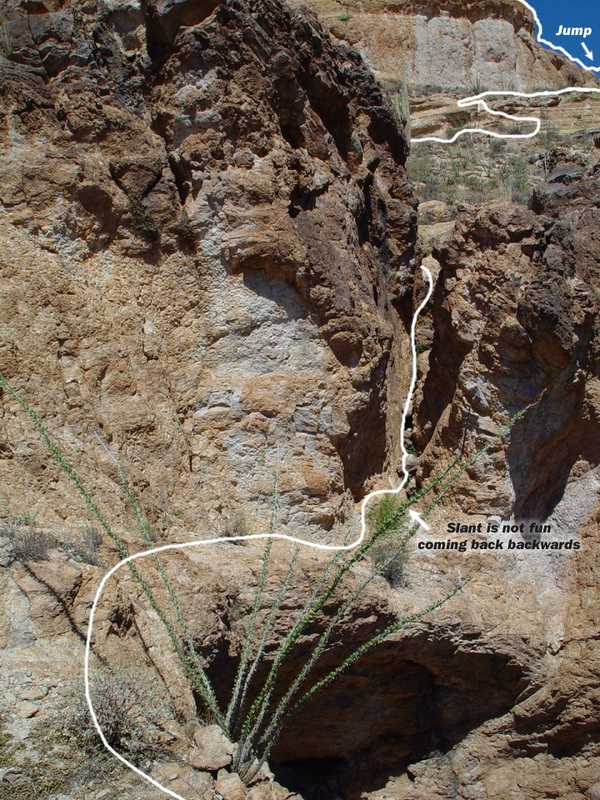 Be forewarned there are a couple technical spots on this route. Nothing tougher than Brown's Peak but it's more technical than the Flatiron. From your car head on up. First you'll cross over a downed barbwire fence. Be on the lookout for cairns shortly after. If the cairns are gone use the map, it's GPS accurate. The first obstacle to note will be a tight crevice. You will probably find it fun going up. There are several hand holds. Coming down is another story. Actually coming down isn't an issue it's the slanted ledge you need to shimmy backwards. The wall protrudes out so you're leaning slightly too making for an awkward moment. After the crevice work up and eventually over to your right. Your second obstacle comes into play quick. Once again, you will probably find it fun going up. The initial contact is a climb. Then hopscotch over the pillars. The last of which is slightly nerve wracking coming back. Keep in mind you will have to trust yourself to slide blindly backwards to a well defined step on the return trip. After that there's only one more crevice to conquer and it's easy going both ways. Next comes the most physical part of the hike going up the steep slope. 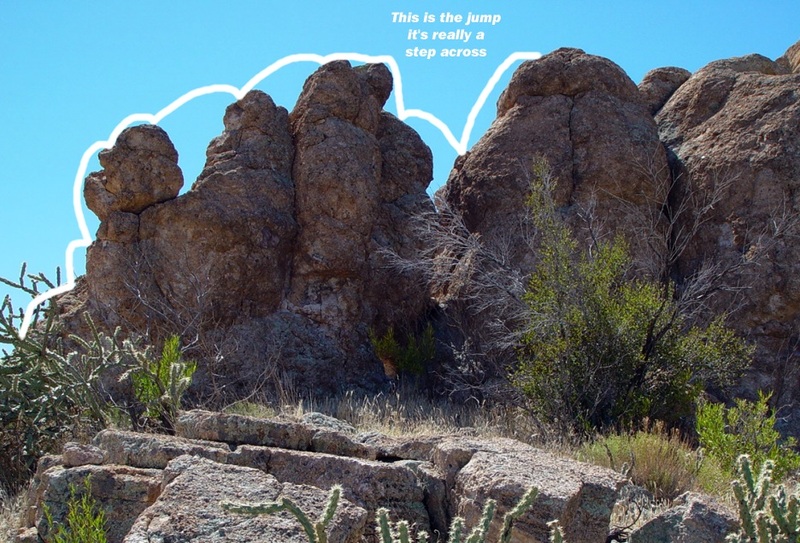 Go up and left to attain the notch in the lip of the mesa. The top of the mesa it's easy travel. If you came for the views then head for the north end or perhaps circle the edge. I don't think the views are as good as nearby Coronado Mesa. Tag on the fact it's a short hike up and you'll probably want to keep on going. Map notes: Looking at the printed 3000 elevation mark there's a couple things to note. First, the south route is preferred. Second, directly south of the 3000 mark you'll notice a clip/dip in the south line. I'm not sure but there may be a way to attain the area on that steep slope. Though it is definitely steep like the hike up to Bronco Butte or the other Black Cross Butte. Also to note, my route turns around because there's a sheer 40-100 foot drop off surrounding that area. Peak 3042 would need to be approached from either the south or west. FYI Note: I wouldn't recommend dogs on this hike for two reasons. First the technical spots and second being there are tons of cholla sticker balls throughout the hike. If you plan on backpacking bring some webbing or rope to get your pack back down.